This document provides specific instructions on how to install HelpSystems Sequel using the HelpSystems Product Loader. For general information about the HelpSystems Product Loader, see Using the HelpSystems Product Loader on our website. 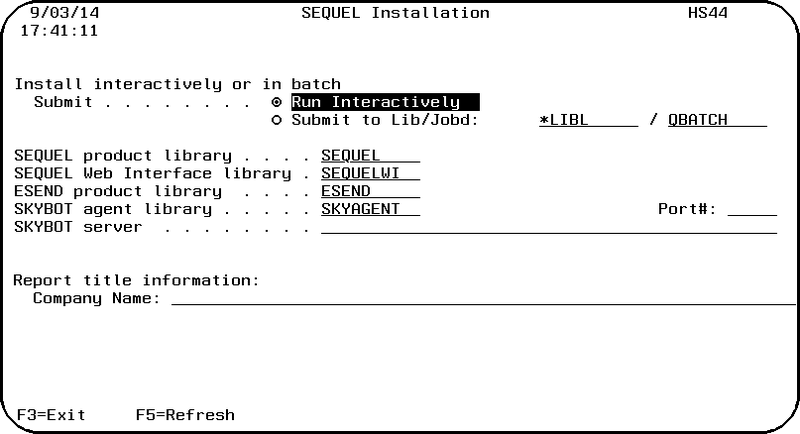 The installation process automatically installs Sequel into the default library SEQUEL on the IBM i. If system value QALWUSRDMN 'Allow user domain objects in libraries' is set with a restricted list of libraries, the following libraries should be added: SEQUEL, SEQUELEX, ESEND,SEQUELWI, and any library used for Sequel objects. Note: To verify PASE is installed, type GO LICPGM, choose option 10 and look for the entry Portable App Solutions Environment. 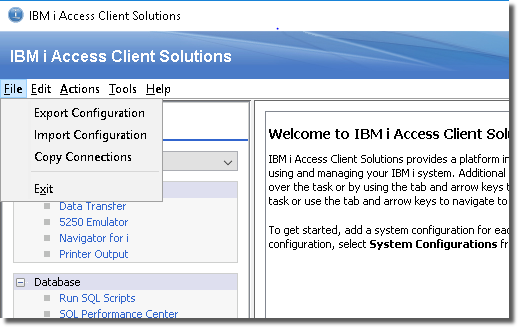 If you do not have PASE installed, install it using your IBM i SS1 installation media. The products you need to download, install, and configure are different for a Sequel-only install vs. a Sequel and Deployment Bundle install, and whether you are performing a First-time/Trial install or an Upgrade. This matrix outlines the software required, and the install steps to follow for a given install type/environment combination. Review the ReadMe document for changes that may affect your environment. This document is part of the Instruction Package available via the 'Download the Product Instruction Package' link on the download page. Make sure that there are no users in any Sequel menus and displays, no Sequel jobs running in batch, and there are no active Viewpoint jobs. If you are updating from Sequel 8.7.235 or higher, the installation program keeps your existing authorization code. If your current version is less than 8.7.235, you must obtain a new authorization code from HelpSystems. If your system value for 'DBCS Version Installed Indicator' (QIGC) is set as installed (1), the Sequel and Esend printer files will be set to IGCDATA(*YES). If this is not desirable, refer to the CHGSEQIGC command in the Help/FACTS titled, Support Utilities Included with Sequel. If installing Sequel along with Sequel Web Interface and Skybot (First-time / Trial), it is very important that the Unified Server components are installed with only the Skybot server being configured before installing the host software. If you currently use Sequel 10.0 or higher, and are only upgrading the host software, or if you are not installing the Deployment Bundle, you can skip the Unified Server install process (step 1 below) and perform the items listed in step 2 below. Follow step 3 if you currently use Sequel Web Interface. Complete all the Unified Server installation steps. Complete the configuration steps for the Skybot Server server only. Installing Sequel to install or upgrade Sequel on the IBM i and apply any required license keys. Install Viewpoint only (for users/non-Client Report designers). 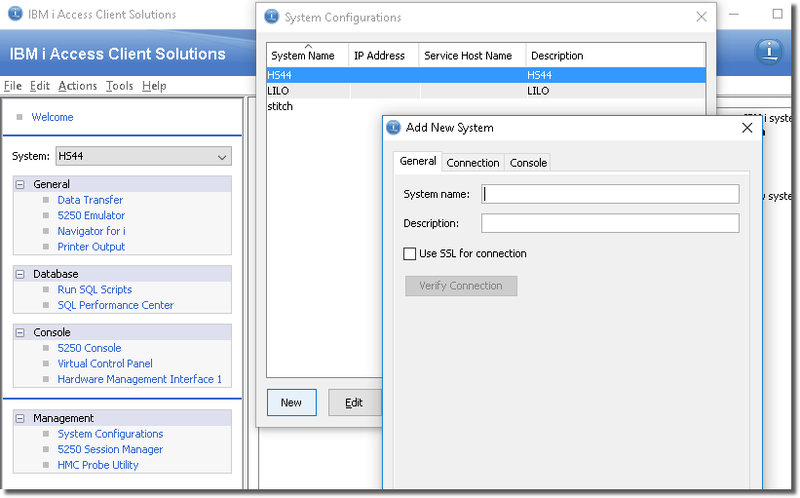 Return to the Unified Server Installation Instructions and complete the unified server configuration steps for the Sequel Web Server and the Viewpoint Server. Use these instructions to install HelpSystems Sequel. This process downloads everything to your PC and loads the objects on the IBM i. Read the following steps carefully to proceed. Download the HelpSystems Product Loader (setupSequel11.exe) from Your Account page on our website. Double-click it to start it. The installer will extract files to your PC and launch the HelpSystems Product Loader in a secondary window. Select or enter the IBM i where you want to load Sequel. Enter a user profile and password that is a member of the user class *SECOFR and has at least the following special authorities: *ALLOBJ, *SECADM, and *JOBCTL. The user profile should have Limit capabilities set to *NO. This profile will be used to restore and copy objects, and for product maintenance on the IBM i. Note: If you plan to install Skybot, or override any install defaults, you must use Staged Load to ensure proper configuration. See "Loading Staged Objects on the IBM i" below for instructions on how to load the staged objects on your selected IBM i system. If this is the only installation of Sequel you are performing, click Finish. Option 2 does not apply to Sequel as a pre-check is not required. Esend will always be included as part of a new install or update of Sequel. For first-time Sequel installs you will have the option to not include the Sequel Web Interface and the Viewpoint Repository. If SWI or the Repository already exist on the system, they will always be included as part of an update of Sequel. After a series of status messages, the Sequel Installation panel displays. This install panel is used for both first time installation or updating your existing version. Run Interactively - This is the default. Submit to Lib/Jobd - Submit the install as a batch job. Enter the library and job description to run the install in batch. Sequel Product library - Enter the name of the library where you want to install Sequel. SEQUEL is the default. If you use the Viewpoint client and are installing a second copy of Sequel, you must change the Viewpoint Product Library default to specify which host library (version) to use with Viewpoint. Sequel Web Interface Product library - Enter the name of the library where you want to install Sequel Web Interface. Esend Product library - Enter the name of the library where you want to install Esend. Skybot Agent Library and Port - If you did not install the Deployment Bundle enter *NONE to skip Skybot installation. If the Deployment Bundle is installed enter SKYAGENT for the library and 7481 for the port number. Skybot Server - Enter the IP address for the server Skybot was installed onto. If you are not installing the Deployment Bundle, leave this value blank. For Upgrades: Enter the Skybot server IP address and port number to ensure the IBM i Agent is upgraded on the Skybot server. Report Title Information - Enter your company name here. This will populate the default company name value for the Sequel host Report Writer. This option is not available during an upgrade. When the installation completes a screen displays showing the products installed. Be sure to apply all Sequel license keys at this time. You must have Sequel 11 installed and authorized for Viewpoint on your IBM i before you can use Viewpoint. The Viewpoint program on the PC does not need an authorization code. You must download the software from the Your Account page on our website to install a new version, or update your current version of Viewpoint. For trial installs: Be sure to select and download the Crystal Reports 2011 zip file (.zip). Sign on as an Administrator to the PC, extract the Crystal Reports 2011 zip file to a work folder, and run the setup.exe file located in the DATA_UNITS\CrystalReports folder. Only do this for users who will be designing Client Reports. For non-Client Report designers, skip to step 3 to install Viewpoint. Follow the on-screen instructions to complete the Crystal Reports installation. Locate the Viewpoint setup file (ViewPoint11_Setup.exe) downloaded from the HelpSystems Web Site. Sign on as an Administrator to the PC, and run (double-click) the Viewpoint setup file to start the Viewpoint Installation Wizard. When prompted to choose components, select the Custom Install option, and then check the Client Report Option feature. Follow the remaining on-screen instructions to complete the Viewpoint installation. Follow the on-screen instructions to complete the Viewpoint installation. For Windows 10, Viewpoint requires IBM ACS Windows Application Package. 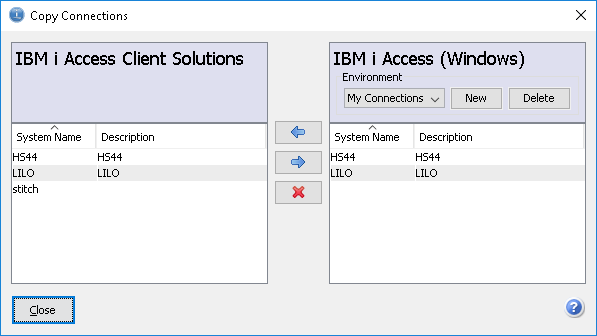 IBM does not support the use of IBM i (System i, iSeries, Client) Access for Windows on Windows 10, and Viewpoint will not work with these older versions on Windows 10. Select Operating Release (ie. V7R1, V7R2, ..). Viewpoint and Sequel require compatible versions to work together properly. Occasionally, a new version of Viewpoint requires that you upgrade your Sequel software to maintain compatibility. You can enable or disable the design capability for each user by entering the SETDFT command on a IBM i command line. See the Sequel Programmers Guide for a complete description of the SETDFT command.